Keep your business details and company logo at the top of everyone's list by having your details printed upon our Company Traffic Trousers and then give them to your staff to wear. then not only are you keeping your staff warm on those dark, damp night shifts, they will help to advertise your personal details and business logo 24/7. To find out more about our Company Traffic Trousers click here and fill in the contact form and we'll get straight back to you. 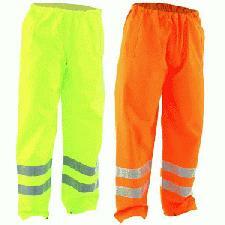 Other promotional and personalised items besides our Company Traffic Trousers click here.